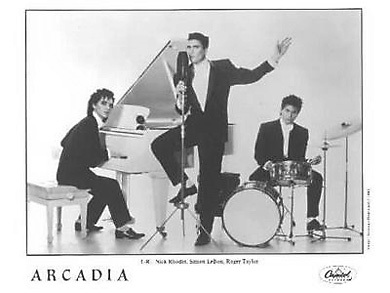 During a brief hiatus in late 1984 and early 1985, three members of Duran Duran ;lead singer Simon LeBon, keyboardist Nick Rhodes, and drummer Roger Taylor , banded together and formed a band by the name of Arcadia, a short lived split-off band which gave an artier form of Duran Duran's music style. In 1985, they released their only album, So Red the Rose, just after Duran Duran's popularity reached a pinnacle. Consequently, the album became a hit based on name alone, as well did the sensual single "Election Day," which soared into the American and British Top Ten lists.The band did a variety of promotional appearances on television, but sadly never toured. 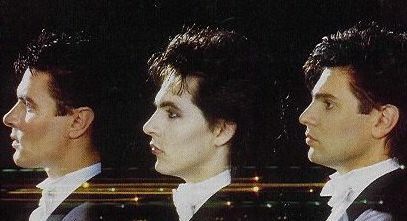 Roger Taylor retired from the music business shortly after the release of the album, but soon after his departure, the members of Arcadia re-formed Duran Duran,but unfortunately minus Roger and Andy Taylor. 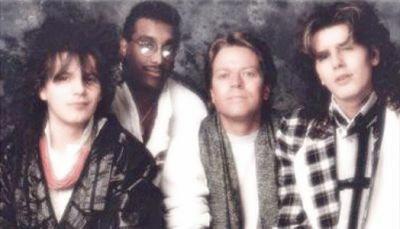 Warren Cuccorullo was hired and played with Simon and Nick since 1988, and only left the band in 2001, due to the possible reuniting of all 5 original members. Warren has since gone to reunite and reform his group "Missing Persons". 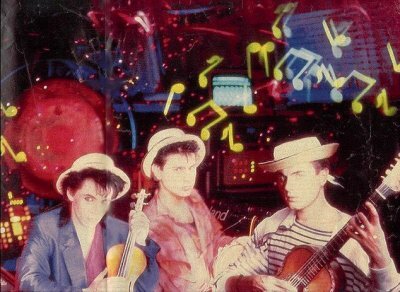 The band "Power Station", formed in New York City late in 1984 during a break in Duran Duran's schedule, were named after the recording studio in which their album was conceived and recorded. 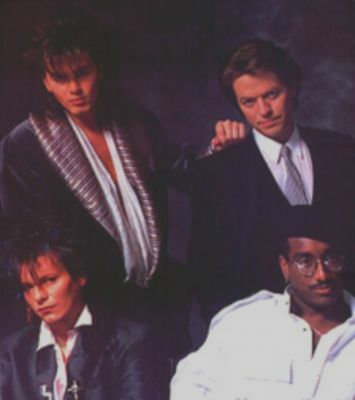 It was a pop/rock group who's line-up included: singer Robert Palmer, John and Andy Taylor, the bassist and guitarists from Duran Duran, and former Chic drummer Tony Thompson. Two other Chic members, Bernard Edwards and Nile Rodgers were also involved with the production of the album. 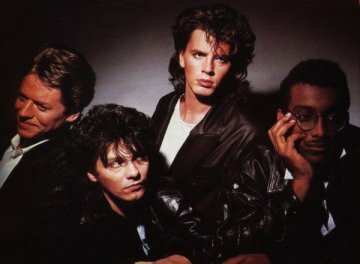 In March of 1985, they launched the album, " Power Station" , which produced two hit singles. "Some Like It Hot",which reached number 14 on the UK charts and number 6 in the USA, and the second single; "Bang A Gong (Get It On)",a remake of T.Rex's hippier classic, which went to number 22 in the UK and number 9 in the US. 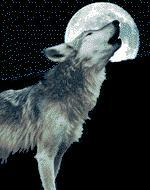 Ironically enough at that time, the single was competing against Duran Duran's newly released single "A View to a Kill" ,for a shot at the charts. By late 1985, the band decided to call it quits, and the members all went to work down their own paths, some returning to their original bands , and others turning to work on their own solo projects.